A short circuit happens when two conductors, delivering electricity to a circuit, have a low resistance connection between them. The low resistance connection can lead to greater flow of current in the power source, and destroy the power source completely. If however the supply circuit has a fuse, the fuse will provide protection against the excessive current flow and blow off, leading the circuit to stop the flow of current. A short circuit can be experienced by alternating and direct currents (A/C and D/C) both. A battery will be discharged quite fast in case of a short circuit, because it causes a battery to heat up due to excessive current flow. 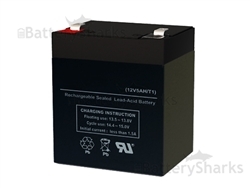 A short circuit can even cause permanent damage to the battery. 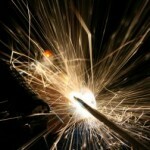 When high power flows through a short circuit, it can produce high temperatures, and cause an explosion as well. When a thin wire short circuits a charged capacitor with a high voltage; this results in excessive power dissipation and a huge flow of current which make the wire explode. That’s why it’s a good thing that battery packs, have safety features to prevent a short circuit. 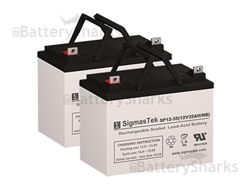 A strong outer casing of a battery is thus essential to keep the internal mechanism of a battery secure and at a distant from any conductors present. Some are equipped with safety circuits as well. The safety circuits switch off the battery when they sense heat or an increase in the battery’s temperature, which might be caused by a short circuit. 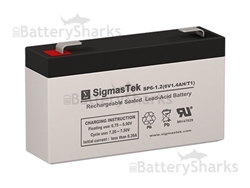 We hope that you found this piece of to be informative, do visit our blog regularly to find out useful posts about SLA batteries and ways to get the most out of them.